Meet Our Founder and President! “I think the audience can do a lot. IDRF offers enormous opportunity to cooperate and collaborate. 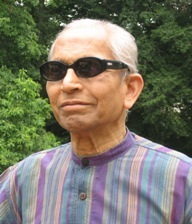 Each one of us has compassion, an innate feeling for helping others.” Meet Dr. Vinod Prakash, IDRF founder and president and life-long humanitarian. Learn what inspires him and how you can join our journey to empower India’s most marginalized people! This interview was produced by the GTV community television project and originally aired in the greater DC area in February on MHz channel.